While I enjoy intricate crafting, it's also really fun to find a simple project you can create in a few minutes. 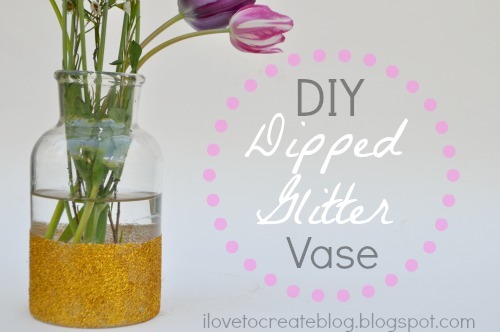 This dipped glitter vase can be made in about five minutes. It would make a great wedding centerpiece or just a pretty decoration at home. To begin, I taped off the vase with paper about 1/3 of the way up. I headed outside and sprayed the bottom of the vase with Aleene's Fast Grab Tacky Spray. 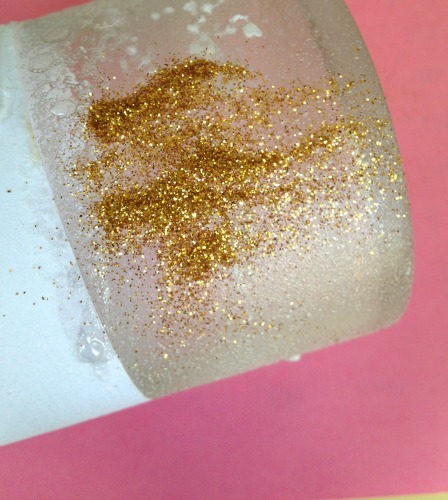 I poured the glitter onto the bottom of the vase. 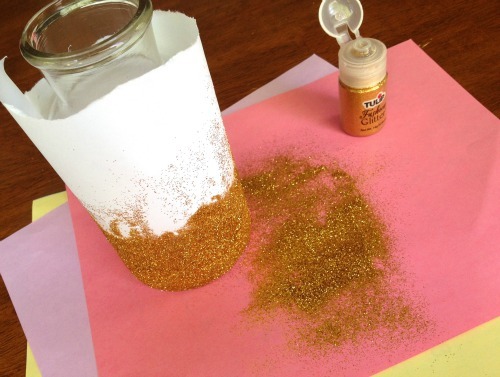 After enough pouring, the glitter starts to accumulate on the paper and you can roll the vase in it as well. 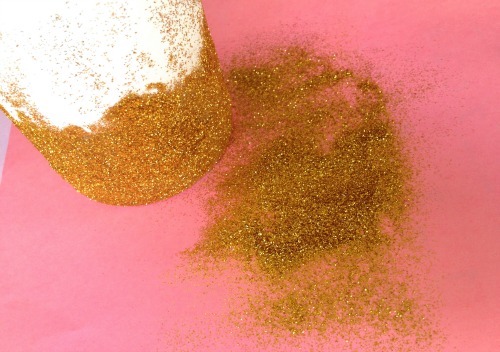 That makes it easier to really get the glitter pushed on tightly. 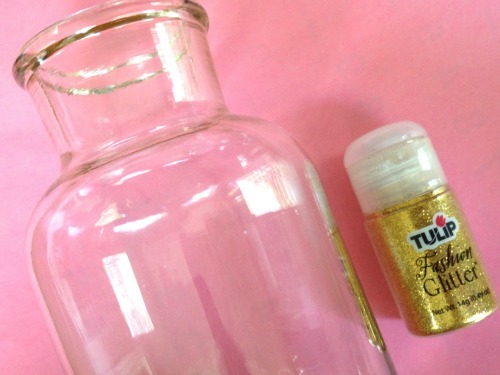 Once the glitter is on you can protect it with Aleene's Spray On Glitter Sealer. Then simply remove the paper. Now you have a one-of-a-kind vase with some extra glam. So beautiful :) thanks for sharing! !